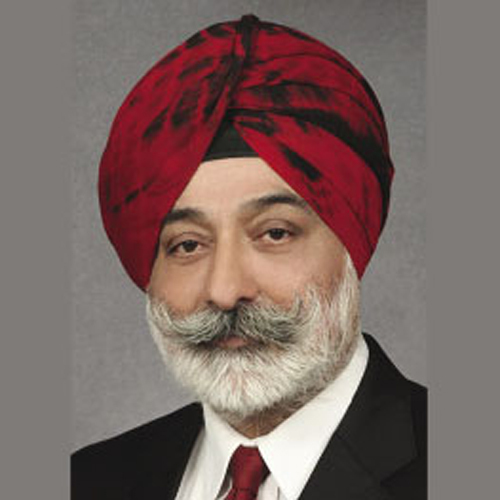 Daljit Singh is the President-Fortis Healthcare Limited, Chairman-Malar Hospitals, and a Director on the Board of Lanka Hospitals Corporation PLC, Dion Global Solutions Limited and HealthFore Technologies Limited. During his tenure of 14 years with Fortis, he has led the Company’s Projects Function, Strategy and Organizational Development Functions and has held the office of the Chief Executive Officer. He has over 42 yrs of rich management experience in the Corporate sector. Mr Singh has been a pivotal member of the top management team of Fortis Healthcare that conceptualized, formulated and implemented Fortis’ growth strategy to position it as India’s leading Healthcare delivery organization in a short span of almost 13 years. Prior to joining Fortis, Mr Singh was on the Board of Directors of ICI India, a subsidiary of the British Multinational, Imperial Chemicals Industry plc, as the Executive Director in charge of Human Resources, Manufacturing, External Relations and Communications. Amongst key responsibilities held at ICI India, he was the Chief Executive for Pharmaceuticals, Specialties and Catalyst businesses. He was member of the ICI Global Manufacturing Group, SSHE Excellence Group and the Global HR Forum. His key experience and achievements have been in the areas of developing progressive HR strategies and ensuring their implementation, organizational restructuring, building high performance culture and leading teams to deliver business value. He has successfully planned and executed significant change programs. Mr Singh is an acknowledged expert and thought leader in the domain of Healthcare Delivery. He has represented Fortis at Industry forums like the CII and FICCI and led several healthcare related committees. He is an active participant on the World Economic Forum platform and is on the Steering Boards constituted by the Forum to guide a number of major Global projects: “Scenarios for Sustainable Health Systems”, “The Healthy Living Charter”, and “Health Systems Leapfrogging”. He was on the Forum’s Advisory Board on “The Economic Burden of Non Communicable Diseases in India” and is currently on the Global Agenda Council on Ageing. He has spoken on panels and presented to Indian and International audiences on themes related to Healthcare. A certified Life and Executive Coach, he works with Senior Management to enhance personal performance and fulfillment. He also leads and facilitates workshops on Strategy, Business Planning & Leadership. He has mentored and coached several leaders across sectors. He has supported, guided and worked with high performers and leaders in ICI, Mercedes Benz, E&Y, Sapient, Ricoh, WNS, Carrier Midea, SI group, Schneider and Fortis. A graduate from the Indian Institute of Technology, Delhi, Mr. Singh was a Commonwealth Scholar to the Senior Management Programme at the Manchester Business School. With an outstanding track record in the field of athletics, his current interests include athletics, high altitude trekking, adventure sports, spirituality, music and reading.